The NBA All-Star Game is a showcase made complete with no-look passes, slick crossover dribbles, three-point daggers, and hammer dunks. Still, basketball diehards often dismiss the Game, and the accompanying events as an historic disappointment. Firstly, fan voting inevitably transforms the game into a popularity contest, rather than a matchup of elite players. Then there’s the potential for the contest to degenerate into a laugher, with players refusing to play defense amid a blowout. The 1987 ASG, however, featured the perfect storm of talent and competitiveness in the right time and place. After the smoke cleared, the Western Conference walked off the floor with a 154-149 overtime victory. Tom Chambers took home MVP honors, after dropping in 34 points, in front of his hometown Seattle crowd. 1987 was the best All-Star Game in NBA history for the five following reasons. Taken together, the Slam Dunk Contest and Three-Point Shootout served as the perfect prelude to 1987 NBA All-Star weekend. In recent years, All-Star skills competitions have been marred by monotony and a lack of star power. To date, rabid basketball fans have remained miffed at the fact that LeBron James has refused to participate in the Slam Dunk Contest. 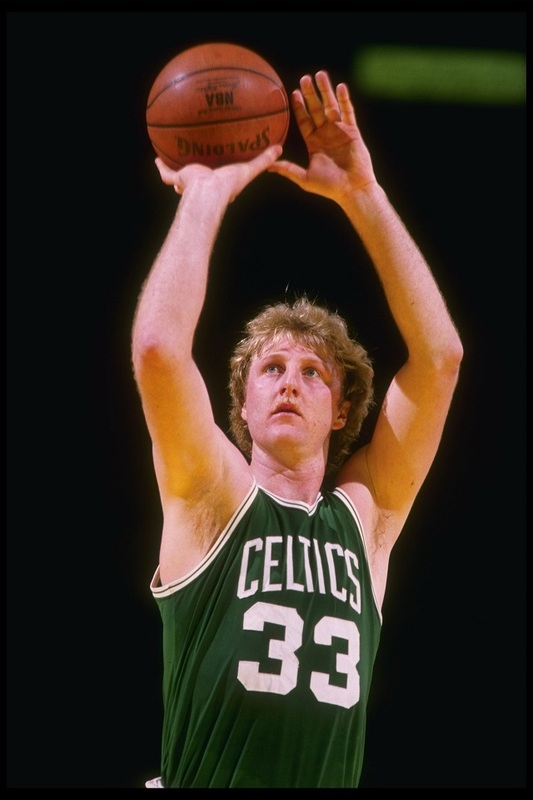 In 1987, Larry Bird headlined the Three-Point Shootout. That year, Bird casually lit it up from deep, while still wearing his Celtics warm-up top. A clutch Bird advanced out of the first-round, after winning a 30-second tiebreaker shootout between himself, Craig Hodges, and Dale Ellis. In the finals, Bird outlasted a young Detlef Schrempf, 16-14. Apparently, Larry Legend had already guaranteed a victory in the locker room prior to the event. Meanwhile, the 1987 Slam Dunk Contest included the likes of Jerome Kersey, Clyde Drexler, Ron Harper, Tom Chambers, and, of course, Michael Jordan. The high-wire act featured an array of cradle, self alley-oop, 360, and windmill dunks. In the end, Michael Jordan stole the show, after he took off from the free-throw line and slammed it home. Air Jordan was born. You can relive it, or watch it for the first time, here. 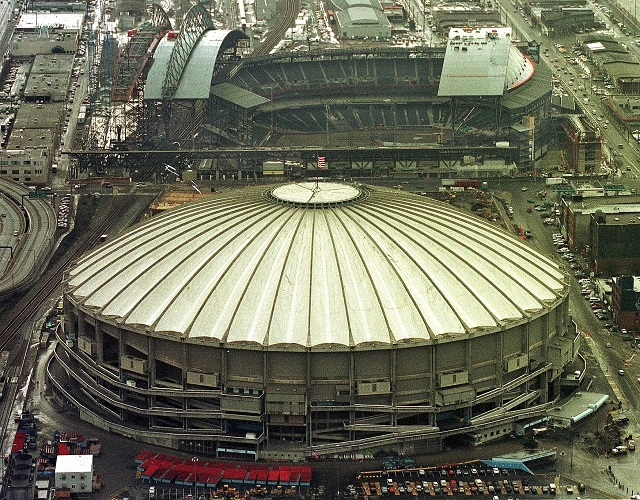 The City of Seattle hosted the 1987 NBA All-Star Game at The Kingdome. At the time, Seattle was also home to the Supersonics and some of the more rabid basketball fans in the league. For Seattle, the 1987 All Star Game bridged the gap between the 1979 championship ballclub and the ’90s run featuring Gary Payton throwing lobs to Shawn Kemp. In 2008, of course, Seattle lost its beloved Sonics franchise to Oklahoma City, where it was rechristened the OKC Thunder. The 1987 Seattle Supersonics were led by power forward Tom Chambers, who was averaging 23 points, 7 rebounds, and 3 assists that season. In his first All-Star appearance, Chambers rattled in two three-pointers, swiped four steals, and racked up 34 points, en route to MVP honors. Magic Johnson got Chambers involved in the game early and continued to feed the big man – to the delight of the raucous home crowd. Interestingly, Tom Chambers was a late roster fill-in, and only made the All-Star game after a severe knee injury felled Ralph Sampson for the season. The 1987 NBA All-Star Eastern Conference starting line-up included Moses Malone, Larry Bird, Julius Erving, Michael Jordan, and Dominique Wilkins. That year, Kevin McHale, Isiah Thomas, and Charles Barkley came off the bench for the East. Meanwhile, Magic Johnson, James Worthy, Hakeem Olajuwon, and Kareem Abdul-Jabbar headlined the Western Conference roster. In all, the rosters made for a extraordinary compilation of points, Hall of Fame busts, and, of course, championships. 1987 marked an important junction in NBA lore, as the All-Star Game was somewhat of a power struggle between the old guard and the young guns. This year, Dr. J was to rattle in 22 points in his final NBA All-Star Game, while Hakeem Olajuwon went on to supplant both Kareem Abdul-Jabbar and Moses Malone as the most dominant center in the game. 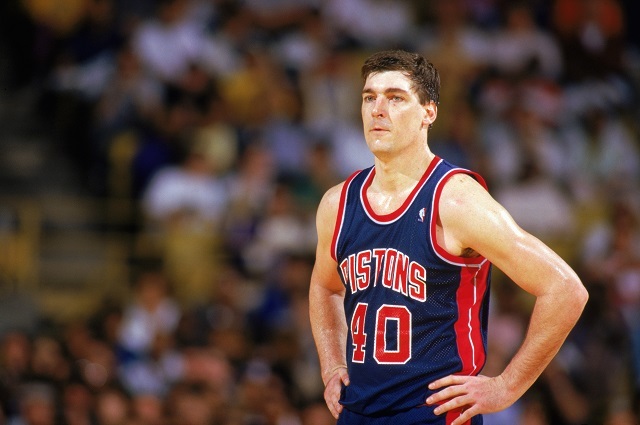 Meanwhile, championship dynasties in Boston and Los Angeles would ultimately give way to the Bad Boy Pistons, who won back-to-back championships in 1989 and 1990. From there, Jordan was to take over, and collect six Finals trophies, before retiring from the game as the greatest ever. The Western Conference, again, won the All-Star Game 154 to 149, in overtime. The nip and tuck battle was a far cry from most All-Star match-ups that end in blowouts. MVP Tom Chambers paced The West throughout the game with 34 points. A hot Rolando Blackman came off the bench to score the majority of his 29 points in a late rally for the West that helped force overtime. Magic, in his will to win, took on a supporting role, in dishing out 13 assists. The stacked East, however, was largely sabotaged by fierce internal rivalries. 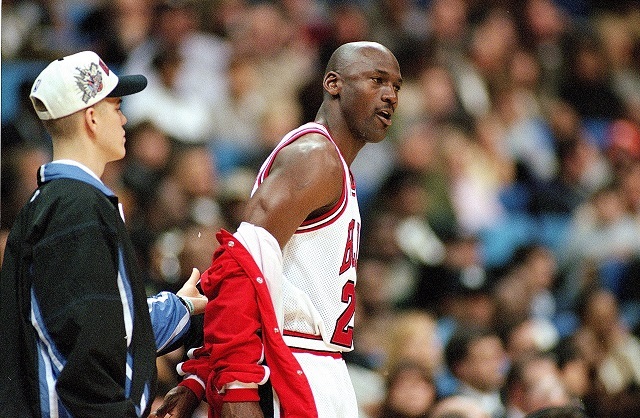 NBA historians have speculated that Detroit Bad Boys Isiah Thomas and Bill Laimbeer led a “freeze out” of Michael Jordan in this All-Star Game. In 1987, Michael Jordan, 23, was the leading All-Star game vote getter, after averaging 37 points per game. Jordan posted a mere 11 points in 28 minutes of All-Star Game action, after Thomas apparently refused to involve MJ in the offense.